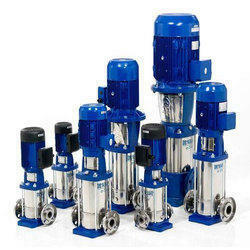 We are highly indulged in providing wide spectrum of Monoblock Pump in the market. These pumps are available at fair market price. Ready-for-connection, automatically-switching wastewater lifting unit with built-in non-return valve and 2-3 inlet connecting pieces (depending on model). Odour-free exhaust ventilation into the installation room is implemented by means of an integrated active carbon filter. Pollard Water Solutions Pvt. 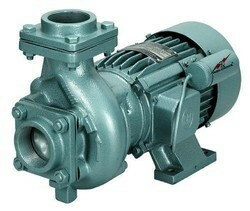 Ltd.
We offer the top range of Water Pump for our valued patrons. These products are used in numerous purposes in the market.